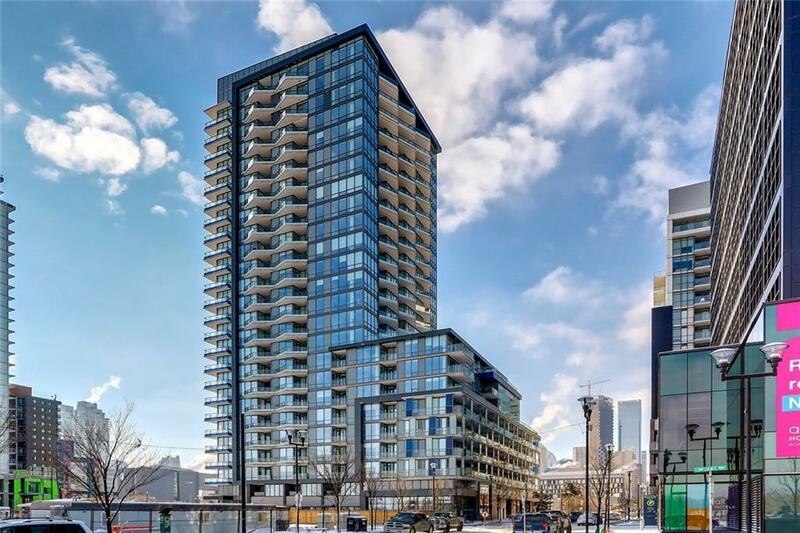 Meet one of East Villages newest condos - Verve. 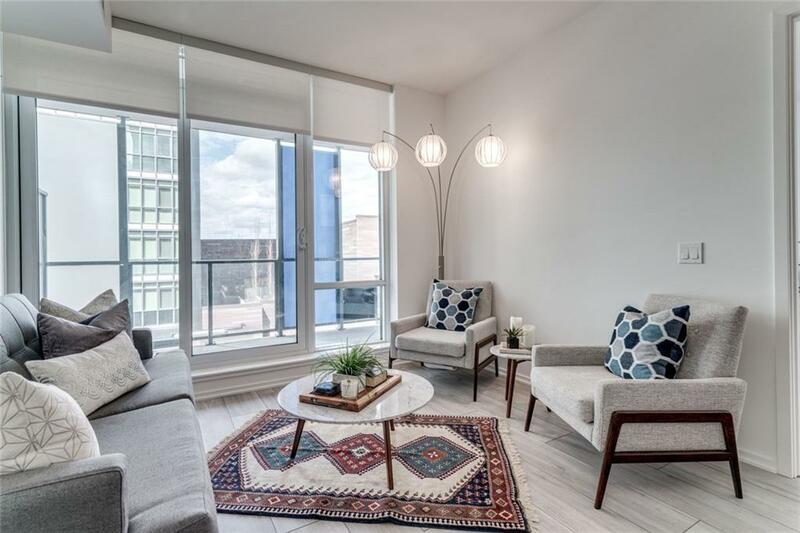 This sophisticated building has all you could ever dream up in a DT condo - concierge service, fitness facility, party room /w hot tub, garden terrace, & rooftop lounge. An intelligent floor plan with 2 bedrooms & 2 full bathrooms which provides comfort and convenience, and allows space for guests, a roommate, or a den. 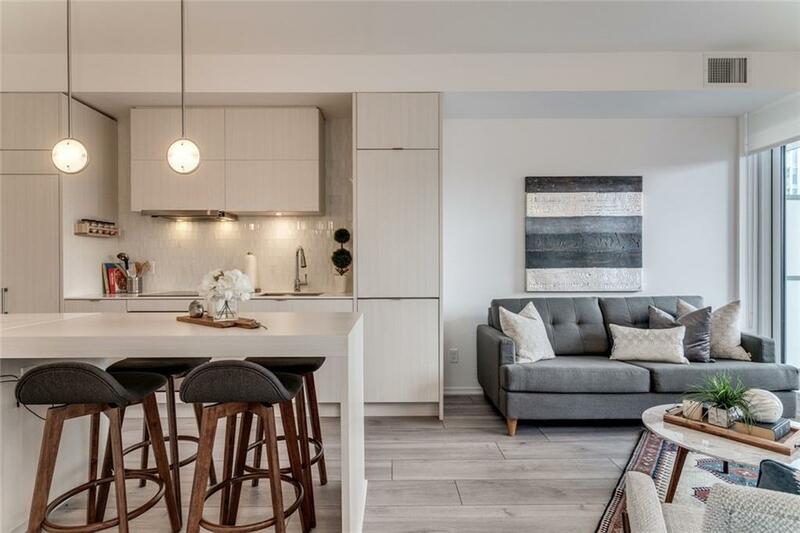 Youll love cooking in your functional kitchen with European intent - high-end integrated appliances, thick stone counter-tops, and a modern design that combines dining - perfect for entertaining! 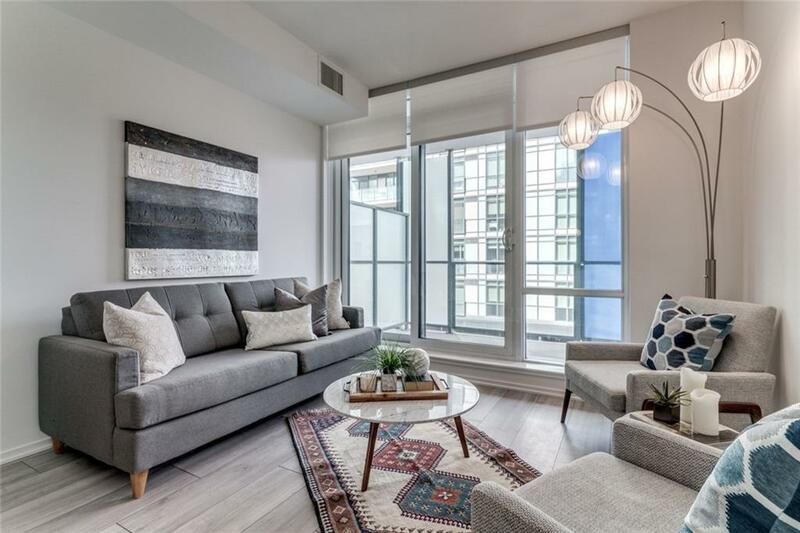 Flow into the living space which is adorned in natural light from the floor to ceiling windows that lead to the spacious private balcony. In-suite laundry, office space, assigned storage, titled underground parking, secured entrance complete this smart development. Work and play is just steps away with local parks, cafes, restaurants, shops, and services just around the corner. Or walk, bike, ride to DT in a matter of minutes. Data supplied by CREB®’s MLS® System. CREB® is the owner of the copyright in its MLS® System. The Listing data is deemed reliable but is not guaranteed accurate by CREB®. The information provided is for consumers’ personal, non-commercial use and may not be used for any purpose other than to identify prospective properties consumers may be interested in purchasing. The trademarks MLS®, Multiple Listing Service® and the associated logos are owned by The Canadian Real Estate Association (CREA) and identify the quality of services provided by real estate professionals who are members of CREA. Used under license. The trademarks REALTOR®, REALTORS®, and the REALTOR® logo are controlled by The Canadian Real Estate Association (CREA) and identify real estate professionals who are members of CREA. Used under license. Data last updated: 2019-04-24T21:29:29.23.